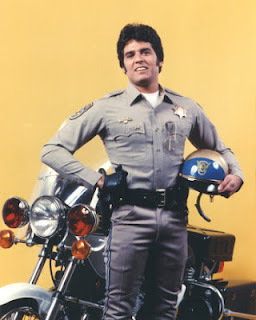 Nominations for the 2012 Non-Equity Joseph Jefferson awards (better known simply as "the Jeffs") were announced today. The Non-Equity Awards honor excellence in Chicago theatres not under an Actor's Equity union contract. Winners will be announced on June 4. Rogers Park-based Theo Ubique leads the pack with 14 nominations. 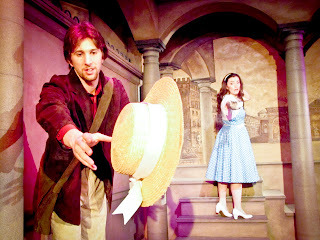 Eight of the nominations are for their current hit production, "The Light In the Piazza" (extended through June 23). The other six nominations were for a production of "Pump Boys and Dinettes" earlier this season. The 2012 nominations also recognized the strong seasons at Griffin Theatre Company, the newly revived Bailiwick Chicago, and the Mary-Arrchie Theatre Company. Griffin Theatre scored 11 nominations for two teen-based works: six for “Punk Rock,” a British play about contemporary issues of high school studens; and five for “Spring Awakening,” a local production of the Tony-award winning musical about teenage repression in 19th century Germany. Bailiwick Chicago scored 10 nominations, including five for “Passing Strange,” a rock musical about an African American’s artistic self-discovery, and five for “Violet,” a musical about a disfigured woman on a journey of healing. Mary-Arrchie Theatre Co. scored eight nominations: four for their production of “Superior Donuts,” the Tracy Letts play about an Uptown donut shop; and four for the soon-to-be-a-major-motion-picture ”Red Light Winter, about a love triangle. The Hypocrites’ adaptation of the “Sophocles: Seven Sicknesses” cycle garnered six nominations, tying with Griffin’s “Punk Rock” for most nominations of a non-musical. "Red Light Winter" — Mary-Arrchie Theatre Co.
"Superior Donuts" — Mary-Arrchie Theatre Co. Principal Actor — PlayDan Behrendt (Matt) — "Red Light Winter" — Mary-Arrchie Theatre Co.
Preston Tate, Jr. (Franco Wicks) — "Superior Donuts" — Mary-Arrchie Theatre Co.
Dereck Garner (Davis) — "Red Light Winter" — Mary-Arrchie Theatre Co. Supporting Actress — PlaySasha Gioppo (Christina) — "Red Light Winter" — Mary-Arrchie Theatre Co.
Susan Monts-Bologna (Lady Boyle) — "Superior Donuts" — Mary-Arrchie Theatre Co.
David Woolley — "Superior Donuts" — Mary-Arrchie Theatre Co. The 39th Annual Non-Equity Jeff Awards Ceremony will be held on Monday, June 4, 2012, at the Park West, 322 W. Armitage, Chicago, IL. Doors open for a cash bar at 6:00 p.m., with a light buffet at 6:30 p.m., and the presentation ceremony at 7:30 p.m. Tickets are $40 in advance, $45 at the door. A group rate of $35 is available for parties of 10 or more. Festive cocktail attire is suggested, and the awards are open to the public. Tickets may be purchased online at http://www.jeffawards.org/. 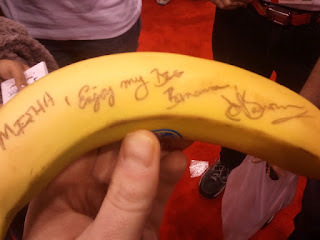 Why, oh why, did I have John Barrowman sign his banana? So, I had a delightful Saturday morning moderating a panel with "Doctor Who" and "Torchwood" star John Barrowman at the Chciago Comic and Entertainment Expo at McCormick Place. I really didn't know what I should have been expecting, but when I arrived an hour before the panel to tour the space, I was a little overwhelmed by the size of the theater where the panel was to take place. 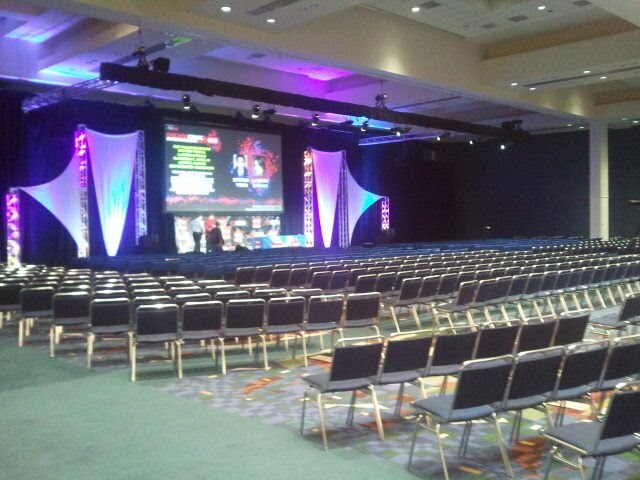 The empty IGN theater moments before it was opened to fans. People had already started to line up for the 11:30 a.m. panel at 9 a.m. After getting a walk-through of what, where and when and how everything was going to go down, I decided to walk the C2E2 floor and try to calm my nerves. I arrived back at the theater 10 minutes before the panel was to start. I was introduced to both John and Scott. I also gave John a brief run-down of what I had planned: a handful of questions from myself, some questions emailed in from fans and then, finally, a lightning round of questions in which John would be playing for money for one of his favorite charities, Dogs Trust. 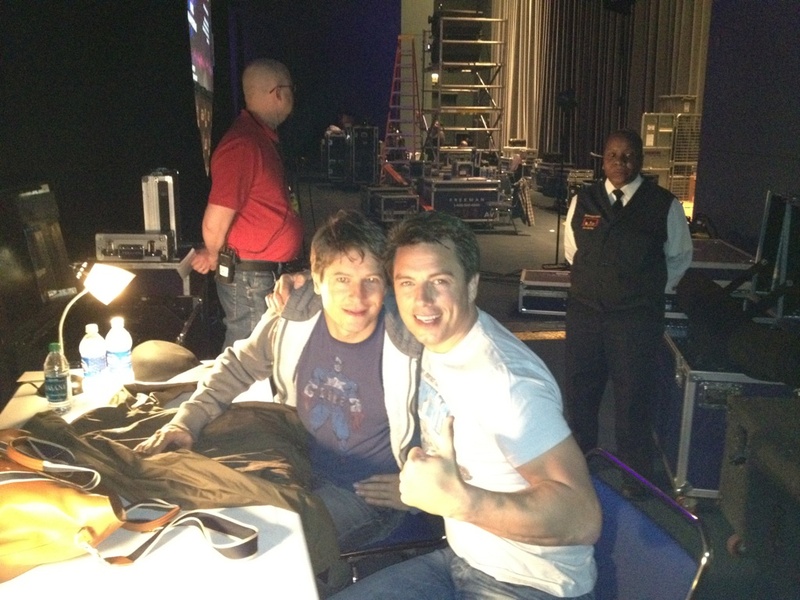 Once on stage, Barrowman truly amped up like a supernova. He flirted with me (asking me to play with the banana he brought on stage) and brought one well-built fan up on stage for a show of "guns" (Barrowman had the bigger arms, at least is seemed that way from my vantage point). Barrowman also dared me to play with the banana he brought on stage and wouldn't relent until I stroked it. On whether the Tardis from "Doctor Who" truly is bigger on the inside than the outside, Barrowman grinned and took a moment to relish the innuendo before answering "Oh, yes." At first, he mentioned David Tennant, before quickly correcting himself and actually identifying the ninth Doctor, Christopher Eccleston. When asked what Broadway standard best summed out the series "Torchwood," Barrowman obliged by singing a few bars of Cole Porter's "Anything Goes." 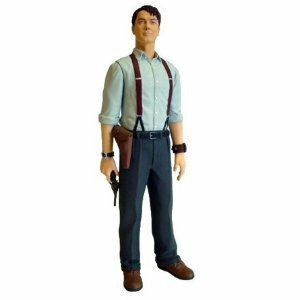 Captain Jack Harkness: larger than life both in person and in toy form. Perhaps the biggest laugh came from his response to the question whether he owned one an action figure of his "Torchwood" character and , if so, how often he played with himself. 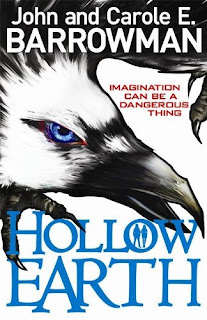 The book is due out in the States in November. It's already a best seller in the UK. Barrowman indicated they are close to signing a deal for the UK television rights and they have also been approached about film rights, too. Barrowman also just shot a television pilot for ABC called "Guilded Lilys." A period piece set around a family operating a luxury hotel, Barrowman said it was a bit of a departure from what he is known for. ABC is expected to make a decision regarding picking up the pilot shortly. Barrowman and his sister haven't exactly forgotten about "Torchwood," either. 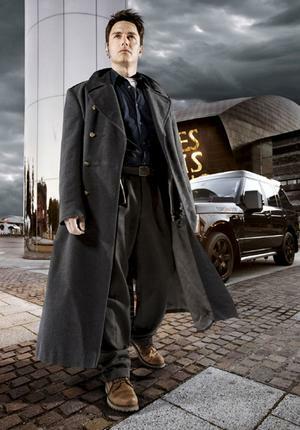 Though the fate of the series is up in the air due to Creator Russell T. Davies dealing with personal issues and unable to commit to continuing the adventures, the Barrowmans are currently at work on a novel, tentatively titled Exodus Code, that picks up right after the events of the last series "Torchwood: Miracle Day." 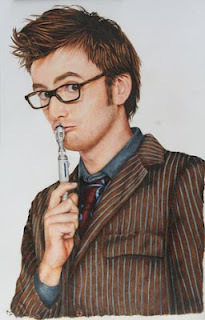 Also up in the air is Barrowman's participation in the 50th anniversary of the "Doctor Who" franchise in 2013. 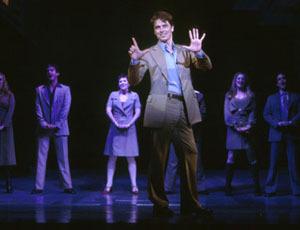 John Barrowman in a 2002 production of Stephen Sondheim's "Company." On the final bonus question, Barrowman needed some assistance from the audience to complete the phrase "If it's not Scottish, it's..." with the correct response "Crap." "We don't get 'Saturday Night Live' in the UK, I may have to check it out," he said. For being a good sport, I made a $50 donation to Dogs Trust; Barrowman matched my donation. Barrowman ended the panel with an impromptu rendition of "The Doctor and I," his spoof set to the tune of "The Wizard and I" from "Wicked." The song can be purchased at the Amazon link below. Backstage after the panel, Barrowman offered to sign the banana. The signature reads "MISHA, Enjoy my Big Banana, John Barrowman"
If anybody has any suggestions on how to preserve a piece of fruit, I'm all ears. I suspect I may end up just eating Barrowman's banana. My friend Michael Sherrin actually waited in line on Sunday to have Barrowman sign a Captain Jack action figure. Barrowman was still in cheeky form on Sunday as the photo shows. It's a Captain Jack attack: Michael gets an intimate hug from John Barrowman.